It's happening again. I'm letting my life and work get in the way of my blogging. Why is it that I never miss my classes at the gym unless there's a crazy deadline or I have some great event to attend but I neglect my blogging? This was wasn't a jam packed week but I did threw in some interesting events in between those classes at the gym. Speaking of the gym, did anyone else go to Sweat, USA, the nation's first Fitness Festival last weekend? I attended the VIP cocktail party at the Shore Club and a day at the Festival. 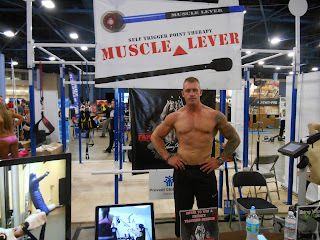 I did not get to see Jillian Michaels, the star of the weekend, but did see lots of exercise gurus and fitness experts. I got stretched (StretchZone), massaged (by a chair and a person), evaluated (by a machine), and filled with samples of protein shakes and bars. I did not attend any of the classes but enjoyed watching while munching on my gluten-free barbeque chips. 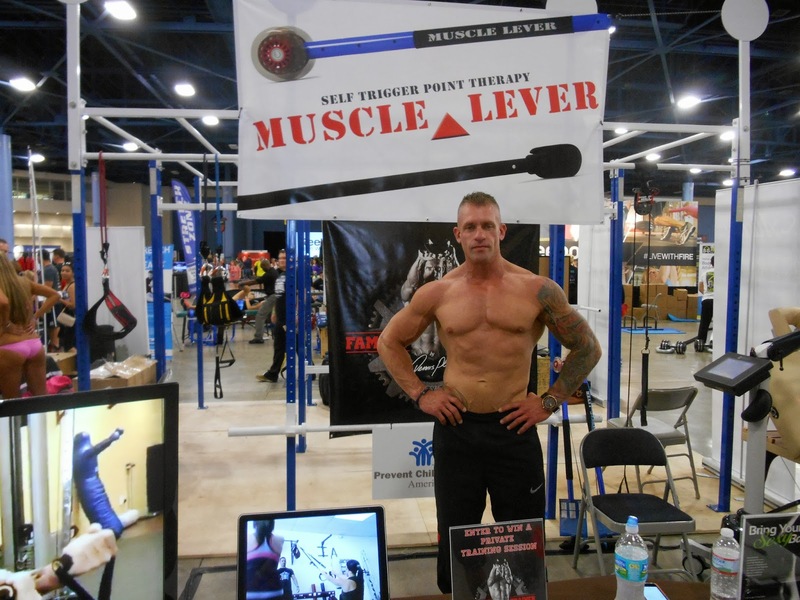 Photos- Middle: Celebrity trainer who posed for photos and pitched the products that were sponsoring him. Bottom: Boxing demonstration at SWEAT, USA. Note the dummy on the left, my favorite. While I've never visited Puerto Rico, I feel that I've been there after working on a Puerto Rico travel guide, one of my freelance jobs this week. I can tell you where to eat, where to shop, where the locals party, and the best hotels to visit. Now, I have to actually use that guide and visit. On Tuesday night I went to a screening of the film Last Vegas, the upcoming film with Michael Douglas, Robert DeNiro, Morgan Freeman, and Kevin Kline. With that cast I figured it had to be good and it was. Great writing. Great chemistry, especially with Michael Douglas and Robert DeNiro. I highly recommend this film when it opens in November. On Wednesday I had overbooked myself, meaning I had scheduled more things than I could possibly do. I finally decided to go the opening of Funkshion. Three fashion shows (late as usual but that's typical for a fashion event) and two of the three featured beautiful fashions. I enjoyed the shows but actually enjoyed hanging out backstage before the shows better than the actual shows. Photo: Shot backstage at Funkshion. My favorite models of the night. These two little models closed the second show. Last night I attended Poetry in Motion at the New World Center. It was a wonderful evening of music that began with a series of violin duets performed by New World Symphony fellows and students from the New World School of Music. The evening included music by Luciano Berio, Niccolo Castiglioni and the finale was a beautiful group by Stravinsky with three vocalists. The evening was conducted by the incredibly talented Michael Tilson Thomas.